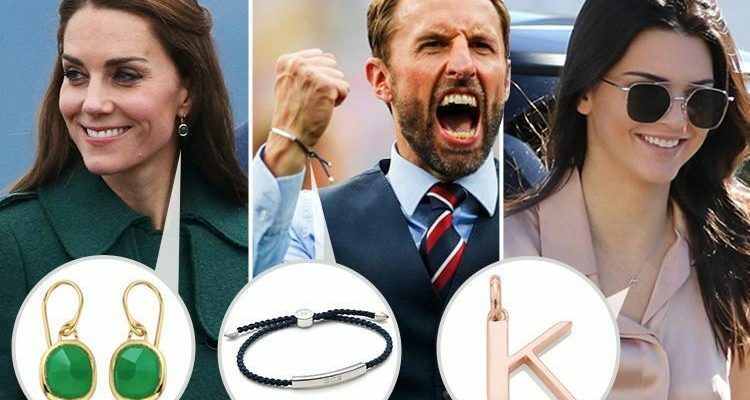 But despite its celebrity fans, the jewellery designer's products are much more affordable than you might think – imagine, then, the value for money when Black Friday arrives on November 23rd. Last year on Black Friday, Monica Vinader put on a 30 per cent off sale on selected lines. Fans were super excited because it meant you could get the coveted Siren stacking ring (it matches Kate Middleton's favourite earrings) for only £59.50. But if you can't wait until November 23rd, fear not…Monica Vinader is no stranger to a sale. Currently, you can get 20 per cent off off ANYTHING you want on the site when you apply a special promotional code 'MONIKH20'. Fashion blogger Monikh Dale posted the promotion on her Instagram account this morning. It's valid for 38 hours only, so you better get in there fast! It's the perfect chance to treat yourself to a new piece of jewellery or buy some early Christmas gifts. What should I look out for in Monica Vinader's Black Friday sale? Stackable rings: These are some of the most popular styles on the site and start from £45 – get collecting while they're at their cheapest. Coin pendants: you'll have seen this medallion pendant around (it's a bloggers favourite) – choose from different sizes. Engravable items: These are PERFECT for gifting! Genuine Sterling Silver pendants start from £35 (they're £29 right now with the promotional code 'MONIKH20') and you can get them engraved for FREE. Cheap finds: If you want to buy something by Monica Vinader but the purse strings are tight, we suggest you invest in a pendant (£29 in the sale) and string it on your own chain – the luxury look, for less. Gifts: For great gifts on a budget, opt for engravable pieces or buy your loved one Kendall Jenner's favourite initial pendants – they start from £65 and are currently £52 with the promotional code. How much will my Monica Vinader delivery cost? Standard Delivery takes 4 working days and is completely FREE. If you want your order a little faster, opt for Express Delivery at the checkout – but it will set you back £5. Alternatively, you can pay £10 to guarantee your order arriving the very next morning – handy for panic purchases before birthdays and events. Find out more about delivery here.